The PBI 11U and 12U Eagles teams won the championships in their respective age divisions of the PBI Baseball League 2013 fall season. The 11U Eagles, coached by Bobby Lineburg from Professional Baseball Instruction, completed a 9-0 perfect season with an impressive 24-2 win over the Wyckoff Raiders in the championship game. 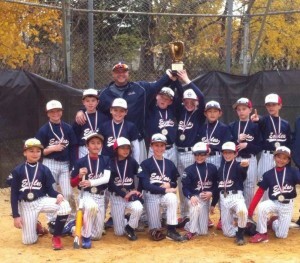 The 11U team also won two tournaments this fall to go with their league championship. 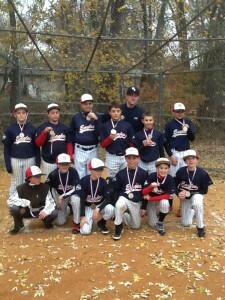 The 12U Eagles, led by PBI coach Terence Hanneman finished the regular season of the PBI Baseball League’s 2013 fall season as the #2 seed and rolled past the Bergen County Rangers in the opening round of the playoffs 11-1, and then shutout the Paramus Spartans in the championship game. Copyright © 2019 Eagles Baseball Association. Web Design by SEO Windy City.